Born in 1967 in Turin and currently living in Paris, Paolo Verzone has been a member of the Agence VU’ since 2003. For 30 years, he has been photographing the population around him, with rigour and eclecticism. His photographic practice has been focused from press orders to personal documentaries. His photographs reflect the multiplicity and singularity of every person. After having photographed bathers of the Mediterranean shores in his series titled Seeuropeans, Paolo Verzone published in 2014 a book titled Cadets, gathering the portraits of students of European military schools. Paolo Verzone has received the World Press Photo prize in 2000, 2009 and 2015. His photographs have been included in several collections, for example those of the Victoria and Albert Museum, the Bibliothèque nationale de France and the Instituto Nazionale della Grafica in Rome. Paolo Verzone develops photographic series questioning our society and the representation of its leisure. He makes sober portraits forming part of the documentary tradition. 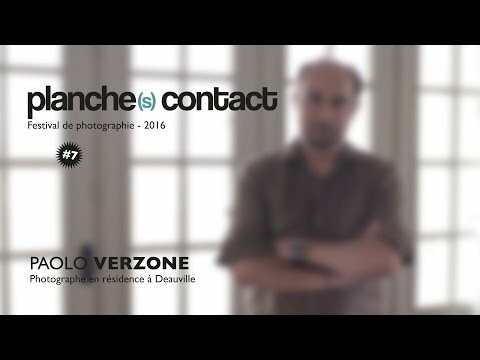 For Planche(s) Contact 2016, Paolo Verzone comes back to Deauville, a city he already knows, to meet some people he calls Toilers of the sea. A state of play, some portraits of individuals or small groups reveal the diversity of professions that are linked to the sea and the beach of Deauville. From the fisherman to the ice-cream vendor, from the yatch harbour master to the beach umbrella renter…He conveys the truths and singularities of a diversity of professions and personalities.